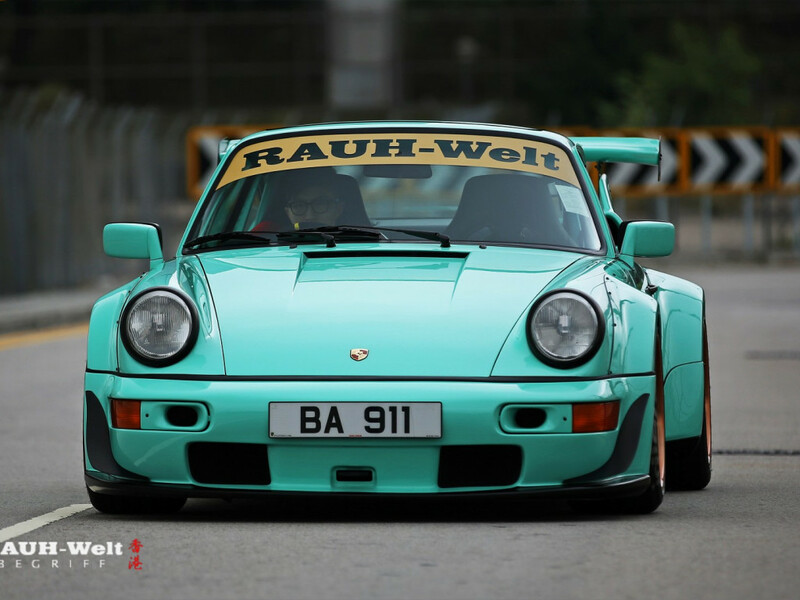 RAUH-Welt Begriff (also known as RWB) is a one man brand. 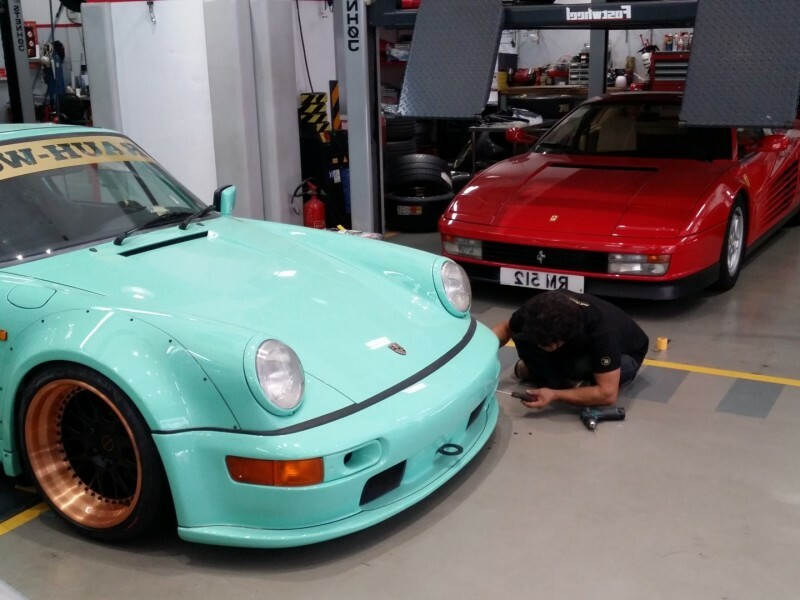 The creation of a Japanese master technician named Akira Nakai. 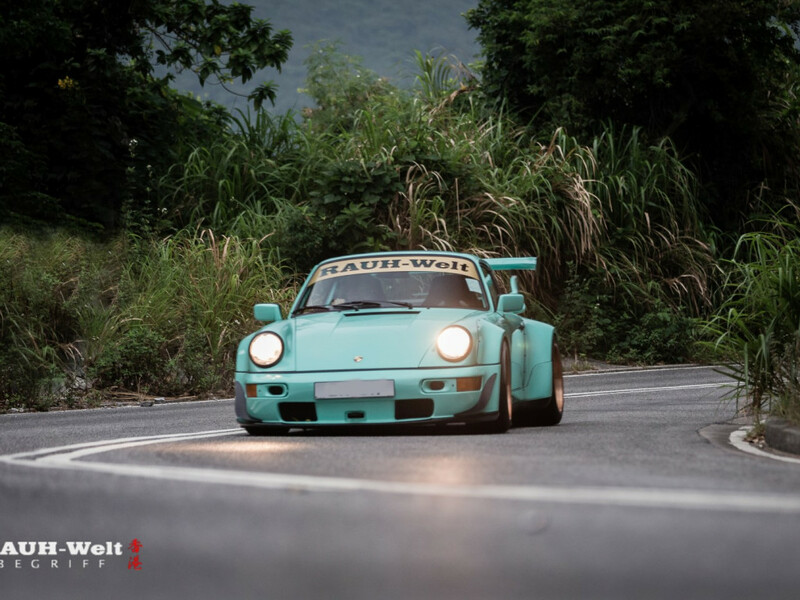 Nakai-san formed RWB back in 1999 when he turned hisÂ passion forÂ air cooled Porsche’sÂ into a business idea. 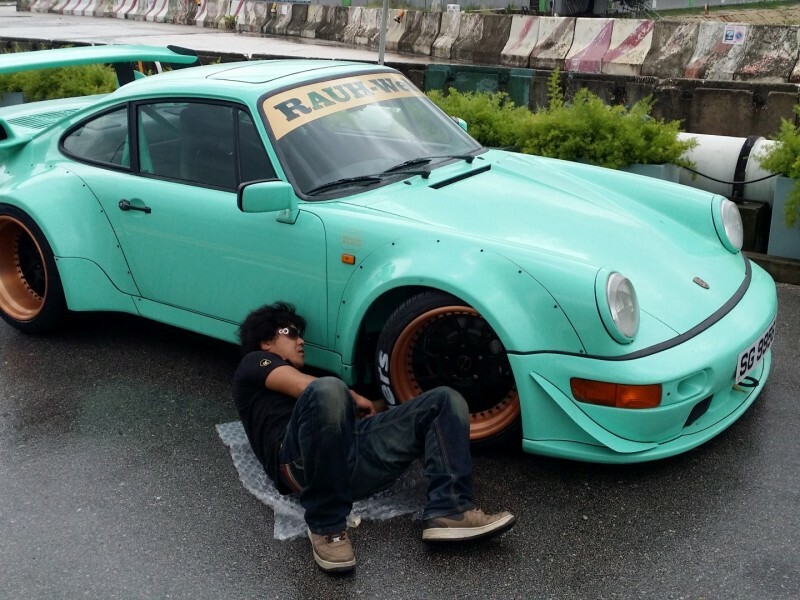 He had envisioned a more radical and extreme styling for the Porsche 930, 964 and 993 911’s and eventually translated his thoughts into a the variousÂ body kits forÂ the classic Porsche’sÂ that we see all over the internet today. 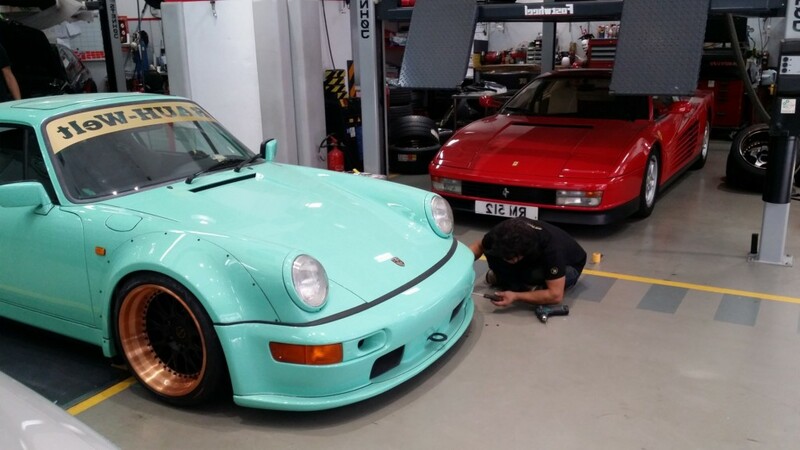 It seems wherever you look, you see a new RWB car popping up in a new country. 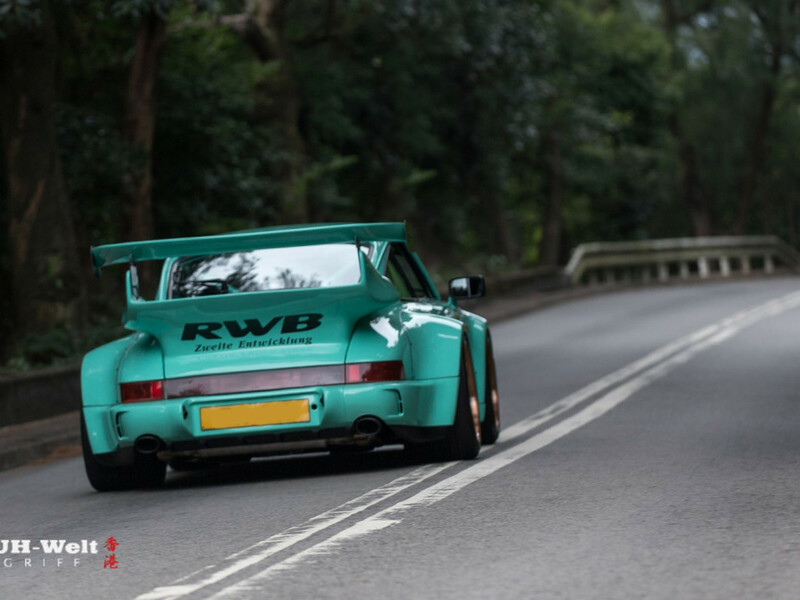 Unbelievably, every car that holds the RWB name (now over 300) was built by Nakai-san himself. 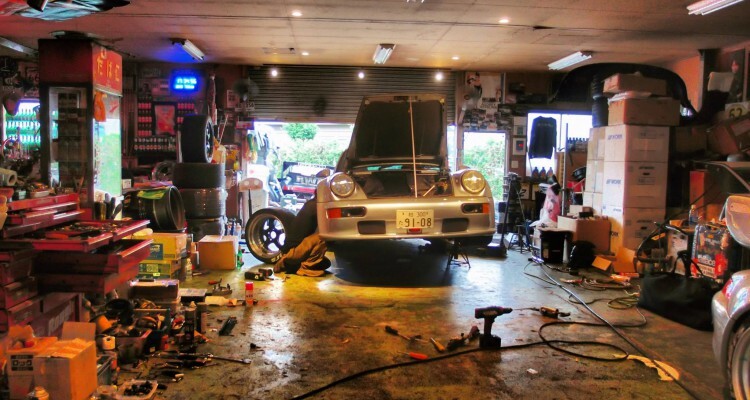 In the past, if someone outside of Japan wanted to have a RWB Porsche, they had to ship their car to Nakai-san’s little shop in Chiba, Japan. 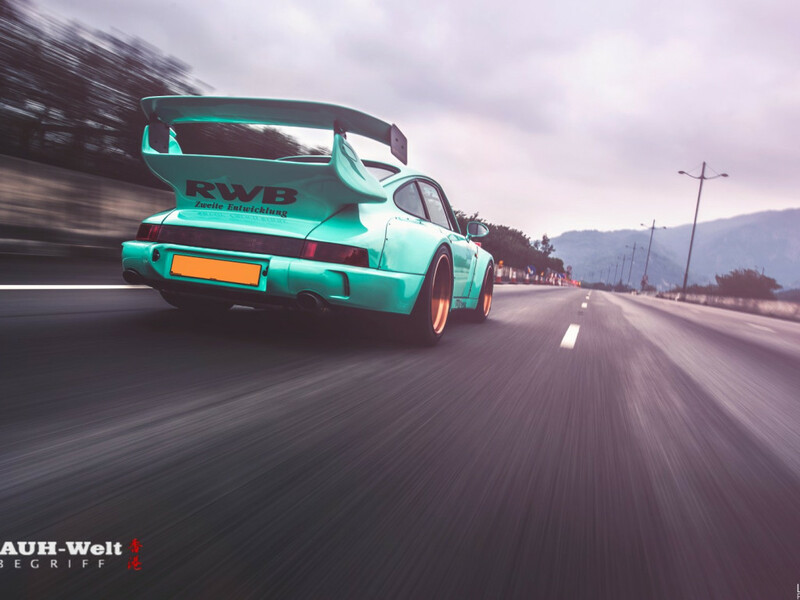 Nowadays, RWB has established many official dealers across the world including Thailand, USA, Indonesia, Philippines, Malaysia, Taiwan, Europe, Canada and China. 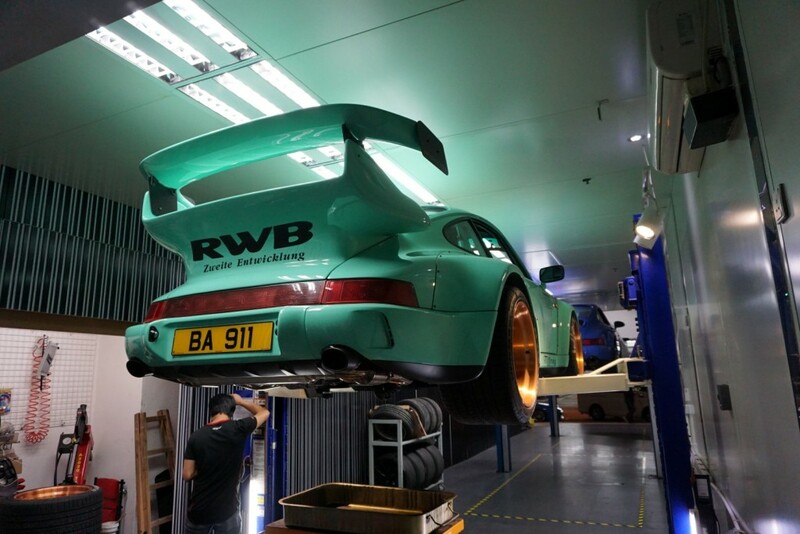 Their newest branch to open is our very own RWB Hong Kong. 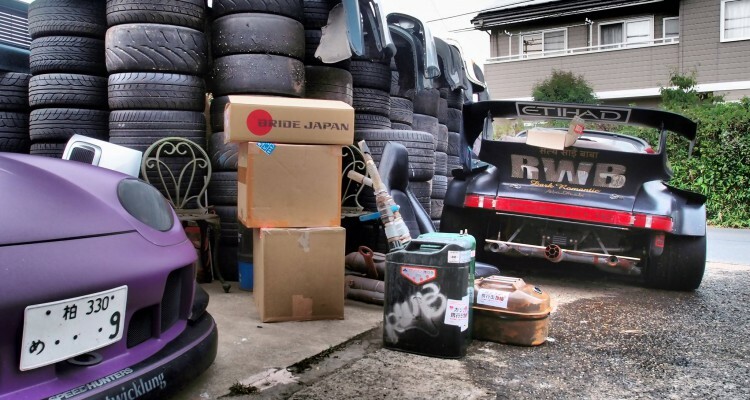 For anyone that has been to his shop in Japan, you feel like you’ve time warped into a museum. 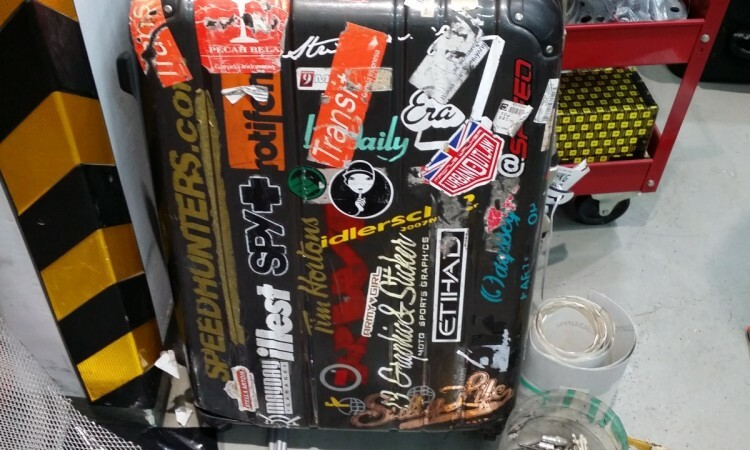 The garage is full of souvenirs and decorative fixtures that Nakai-san has collected over his many years of travel around the world. 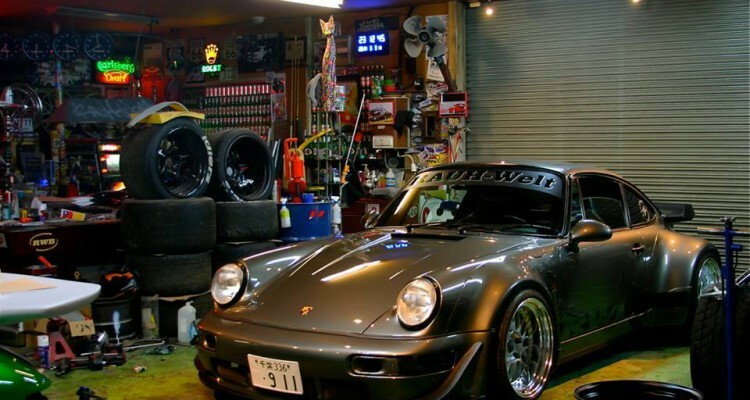 The shop is a like any neighborhood garage. 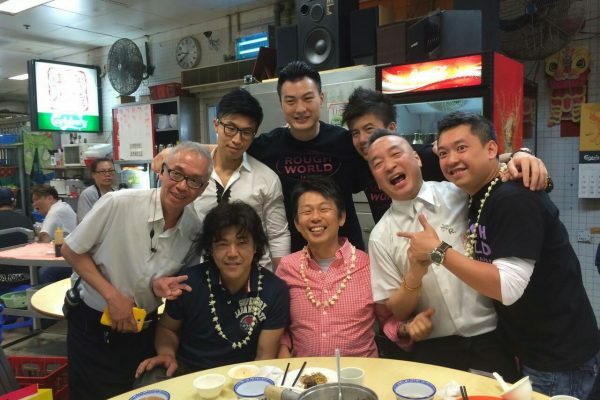 A littleÂ “rough” around the edgesÂ seeing as Nakai-san is only in Japan for a few days every month. 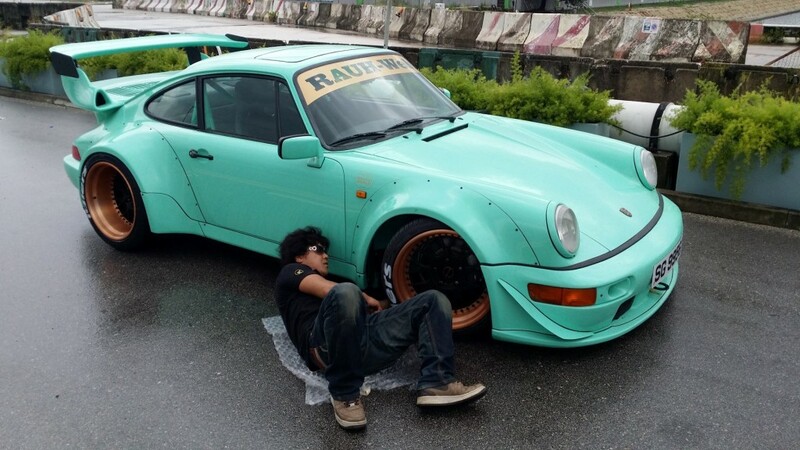 The rest of the time, he is flying around the world building RAUH-Welt Begriff cars for international customers. 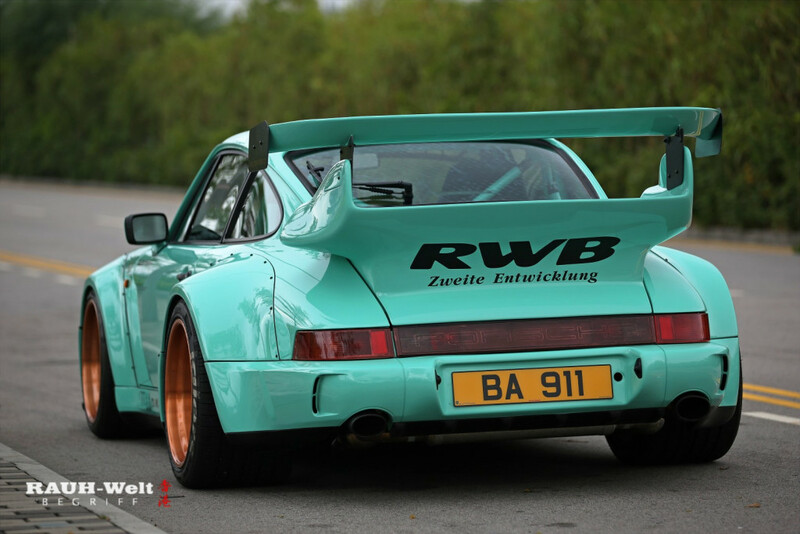 As car enthusiasts ourselves, we still vividly remember the very first time we saw a RWB Porsche. For the majority of us it was through our computer screens on YouTube. 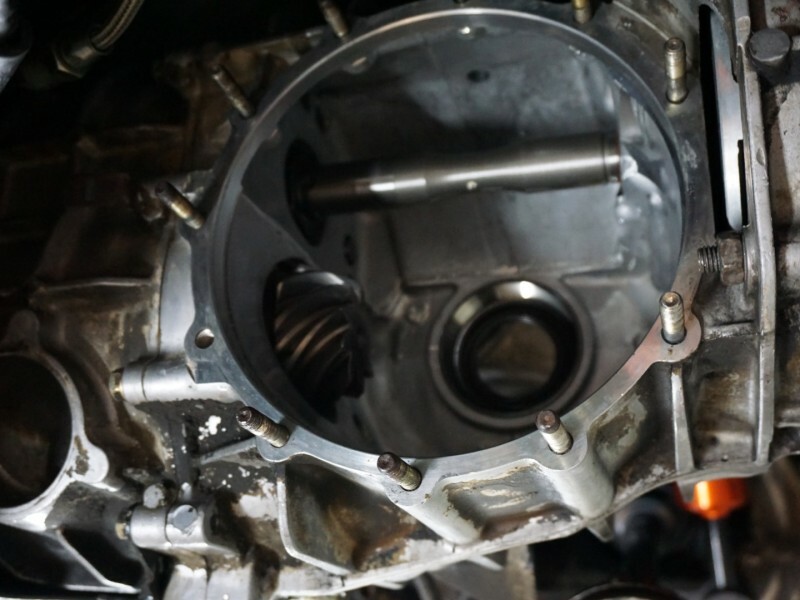 It brought on such feelings ofÂ aweÂ and disbelief. 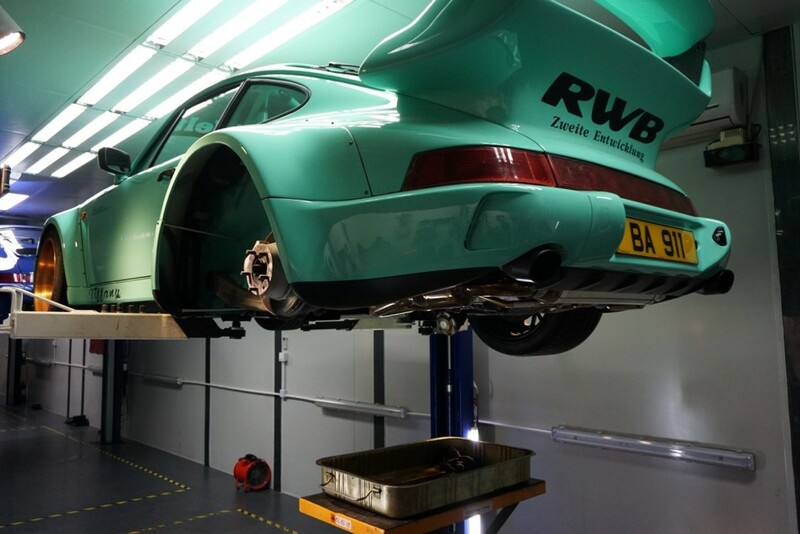 We all envied it and dreamed of one day being able to see a real RWB PorscheÂ in the flesh. 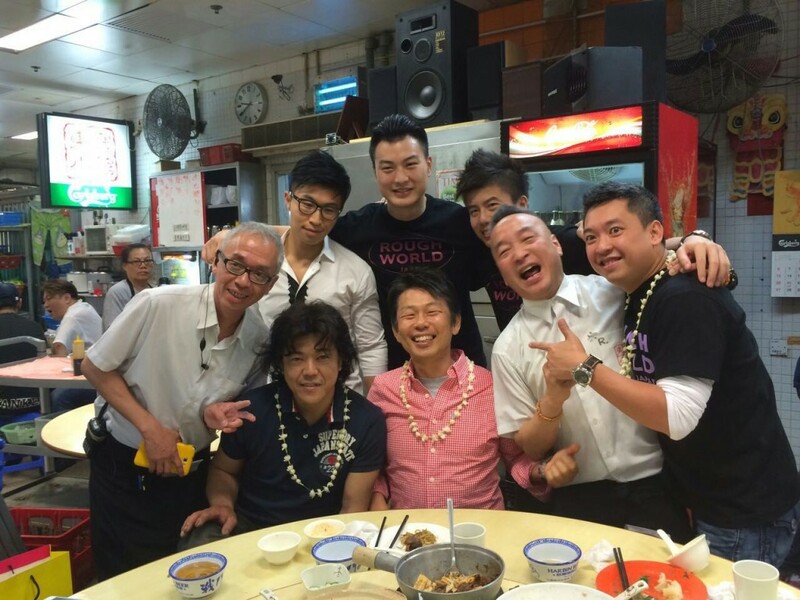 Who would have imagined thatÂ many years later we would have the opportunity to represent the brand inÂ Hong Kong. 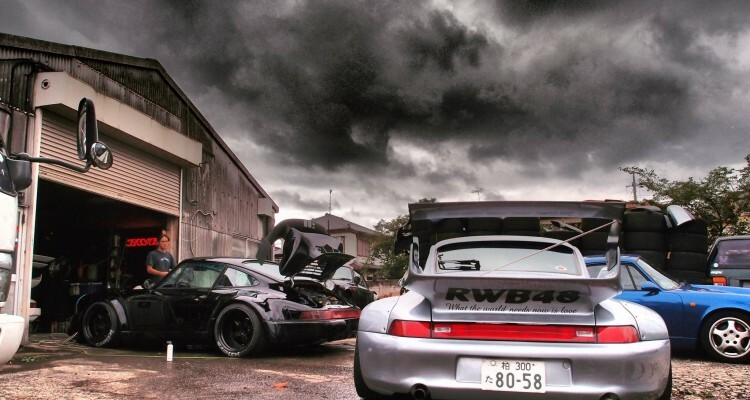 Today whenever Nakai-san creates a new RWB, it still brings on those same feelings that we felt before. 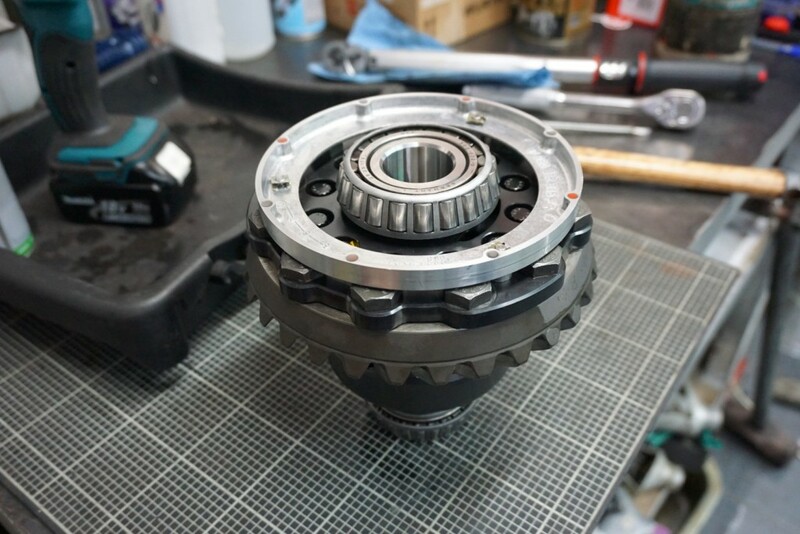 We envy it and want it. 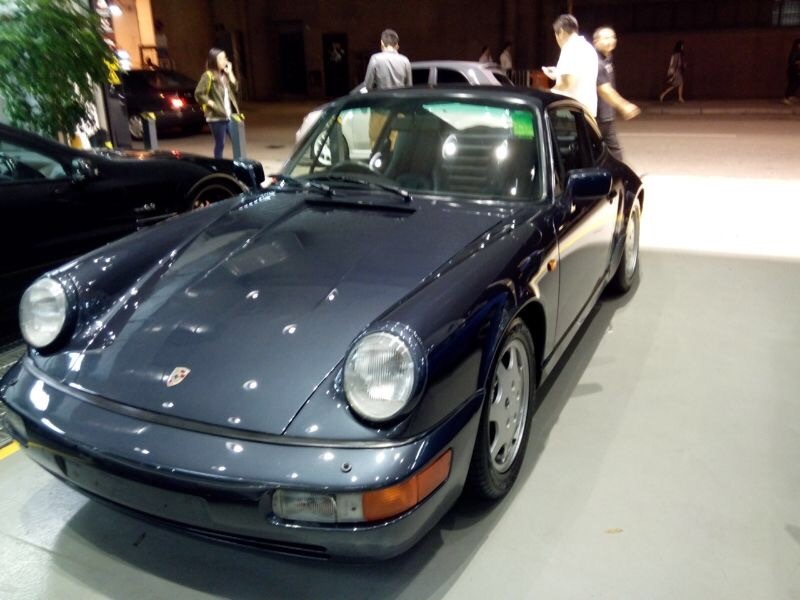 We are still shocked by the radical styling that transforms a regular 911 into something that looks like it just came from the race track. 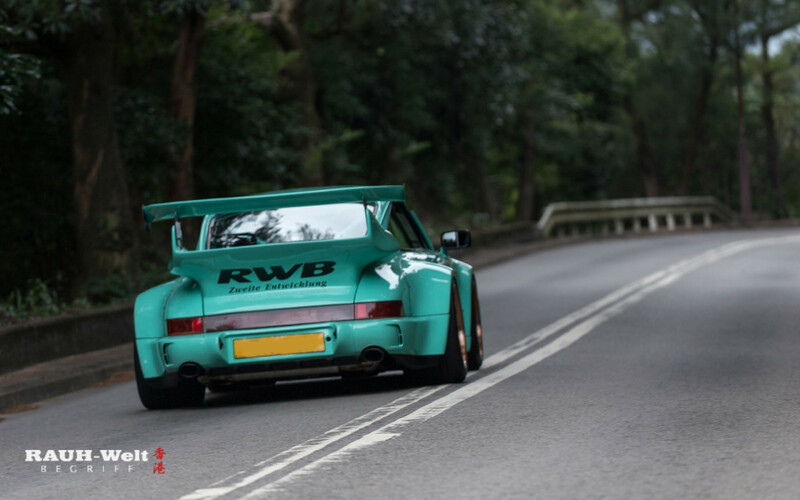 Although eachÂ car posses the general style cues of RWB, every car is unique in its own way representing the vision and style of the individual owner. 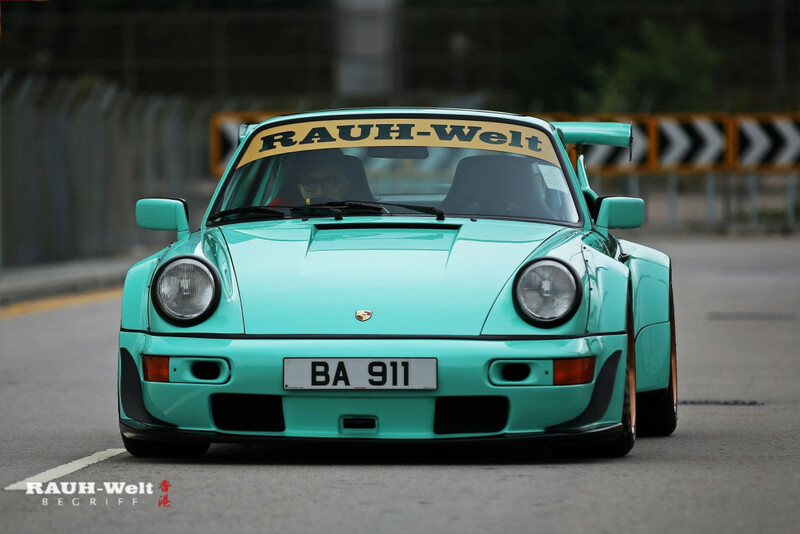 Hong Kong’sÂ first RAUH-Welt Begriff car started out as a 1990 Slate Grey Porsche 911 Carrera 2 (5-speed manual). 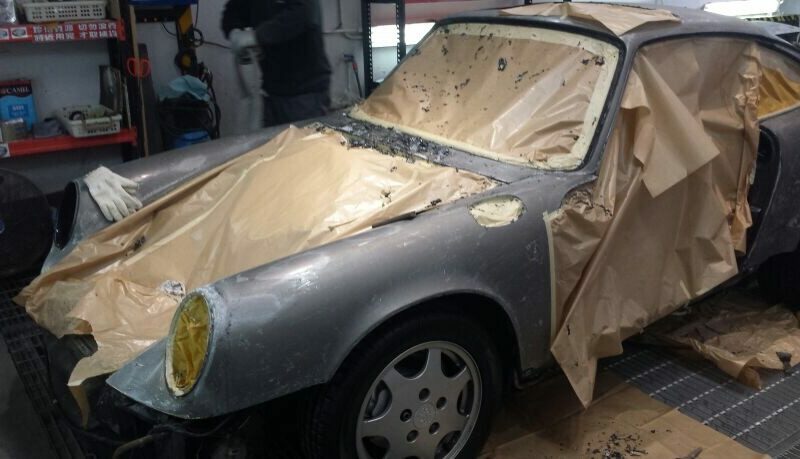 It was still in fairly good condition at the time but we knew for a project this special, we had to do it right. The car would have to be stripped down to a bare shell. 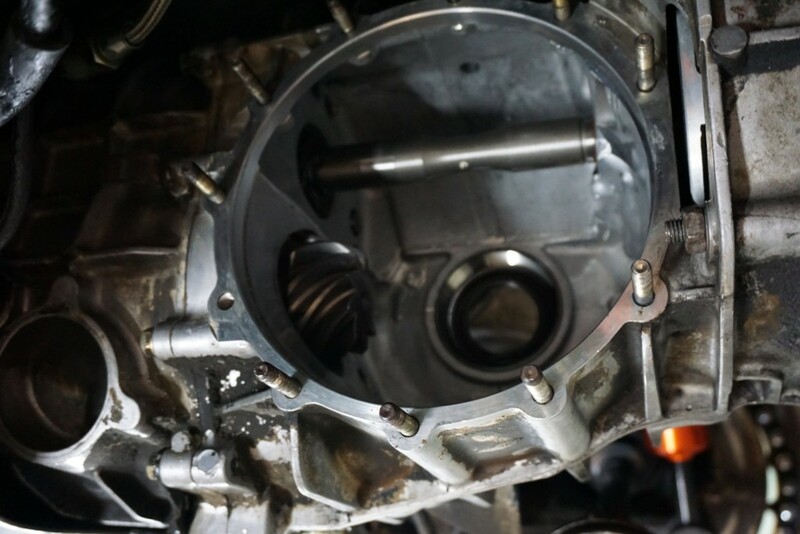 Everything had to rebuilt from scratch including the motor and drive-train. 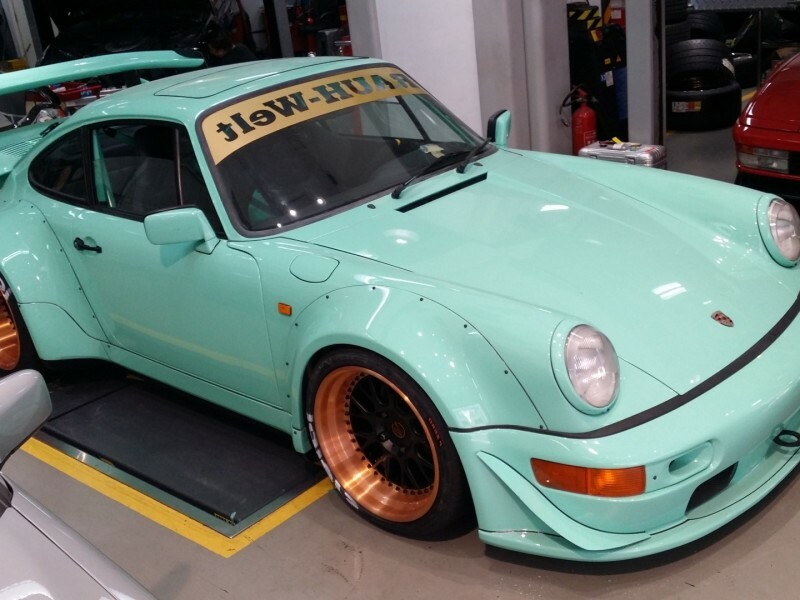 In choosing a color for this car, we wanted something that came from the factory for the 964 yet it needed to stand out and be unique. 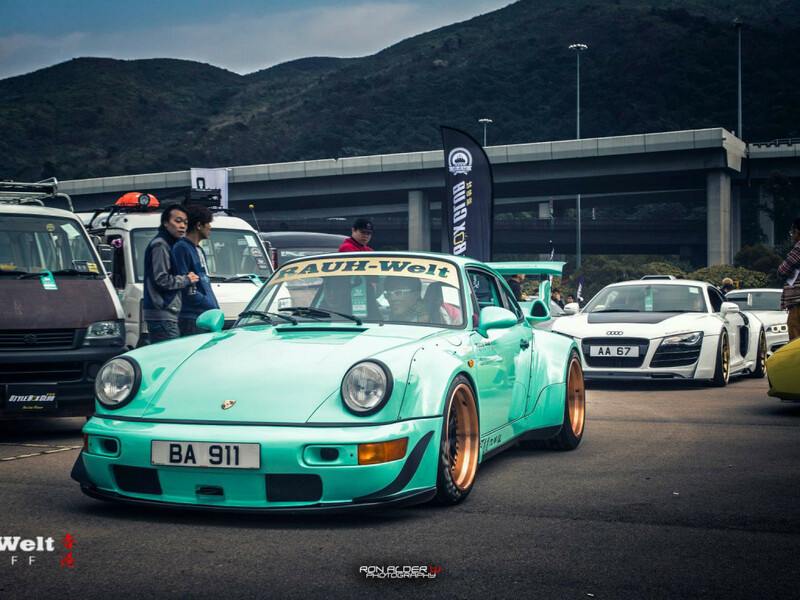 We finally decided on going with Mint Green as it is one of the rarer colors amongst the RWB community. 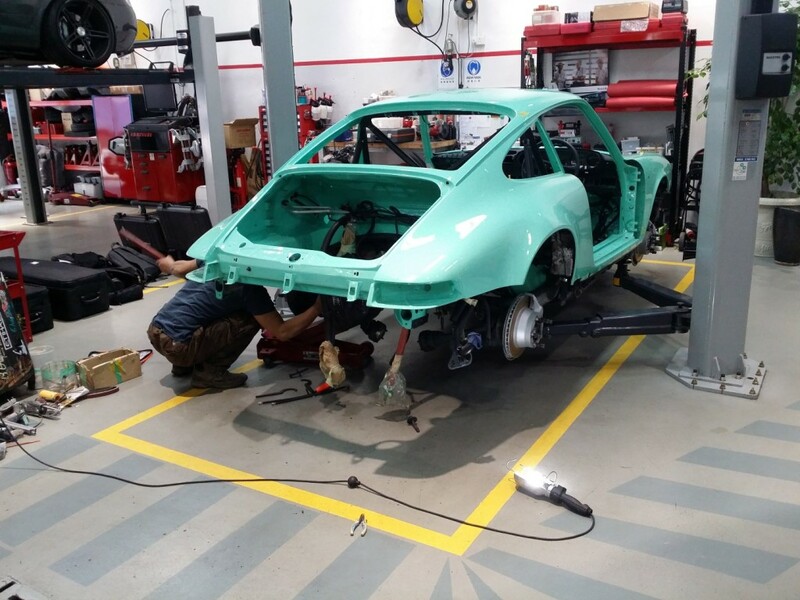 Our friends at Fast Wheel did an amazing job with the paint and we couldn’t be happier with our decision. 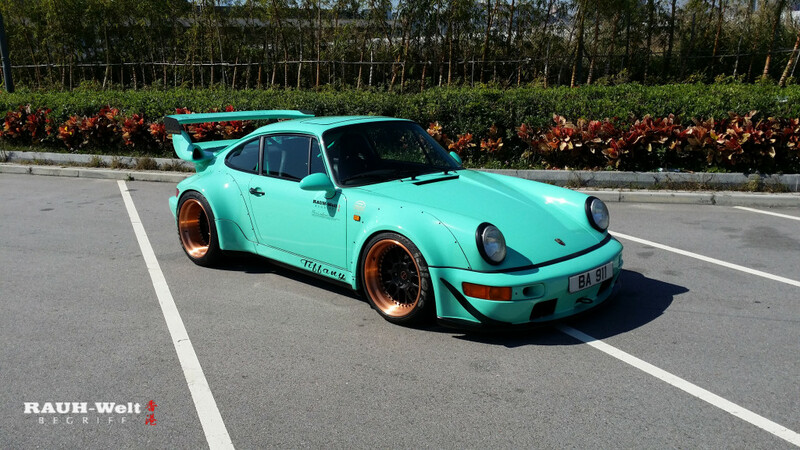 From this Mint Green color, “Tiffany” was born. 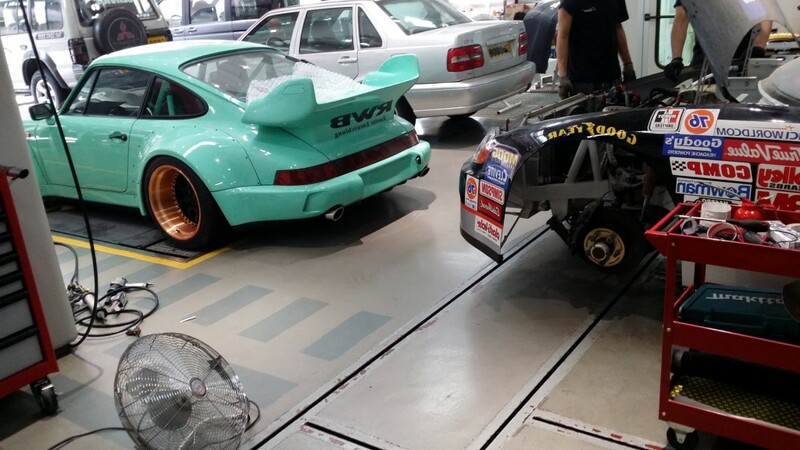 Soon after the new body panels were painted, Nakai-san flew to Hong Kong to work on our car. 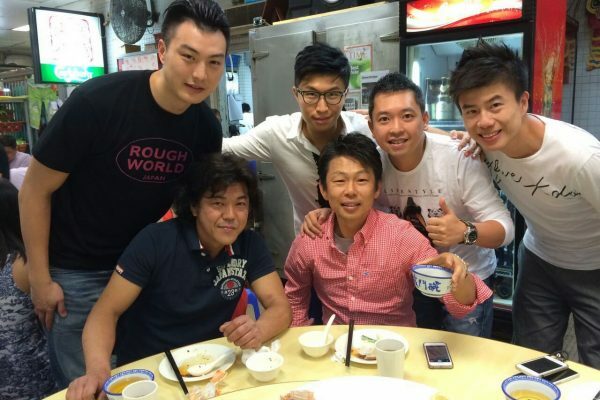 Picking him up from the airport, we knew right away this man would be quite the character. 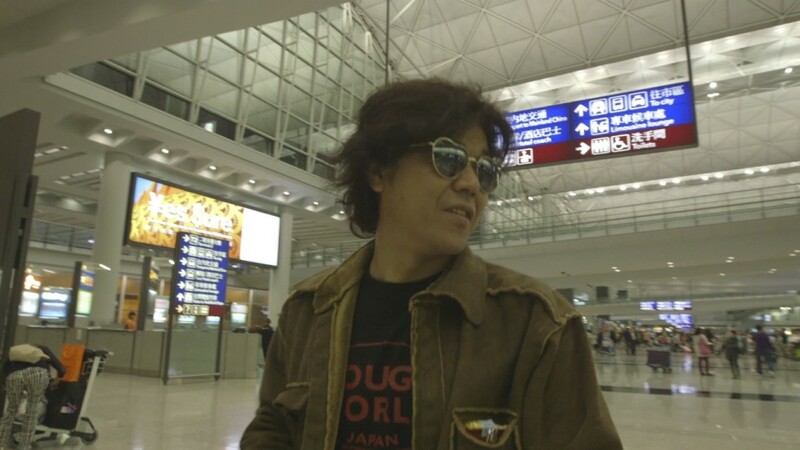 Sporting his brown leather jacket, heart-shaped sunglasses and Winston cigarettes in hand you might have mistaken him for aÂ Japanese cowboy. 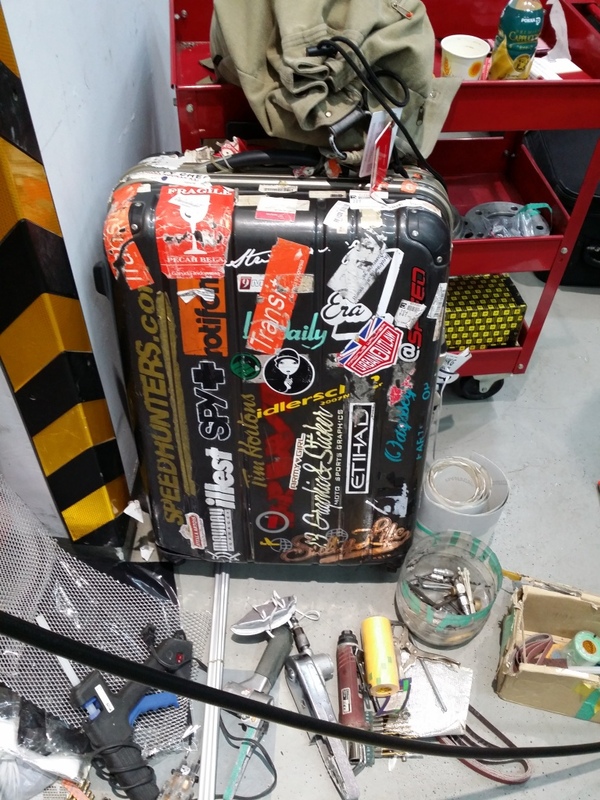 One lookÂ at his suit case plastered in stickers and rolling onÂ broken caster wheels, you could tell Nakai-san was very well traveled. 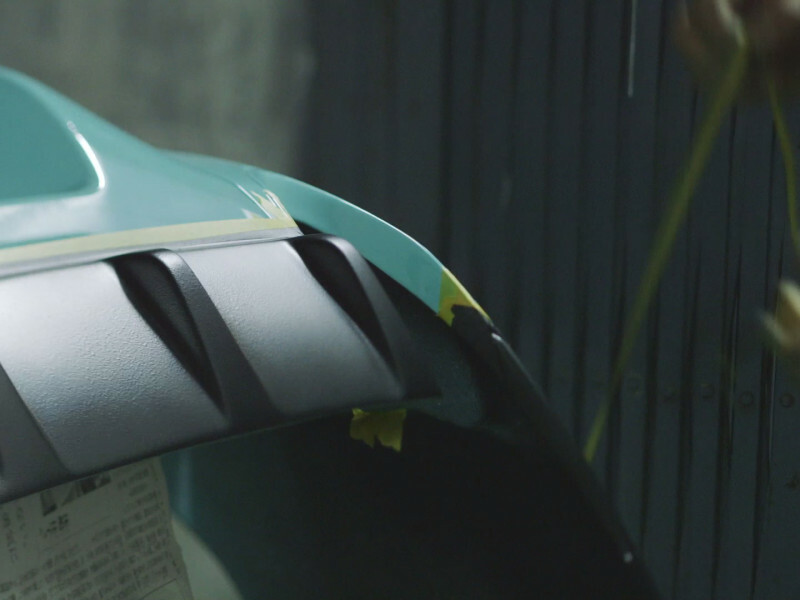 When Nakai-san began work on our car, it was all but a bare shell fresh out of the paint booth. 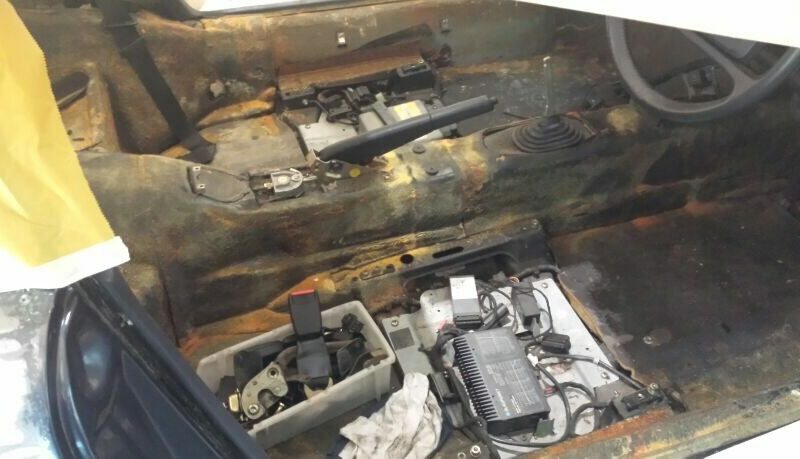 It had no interior, glass, wiring or engine. 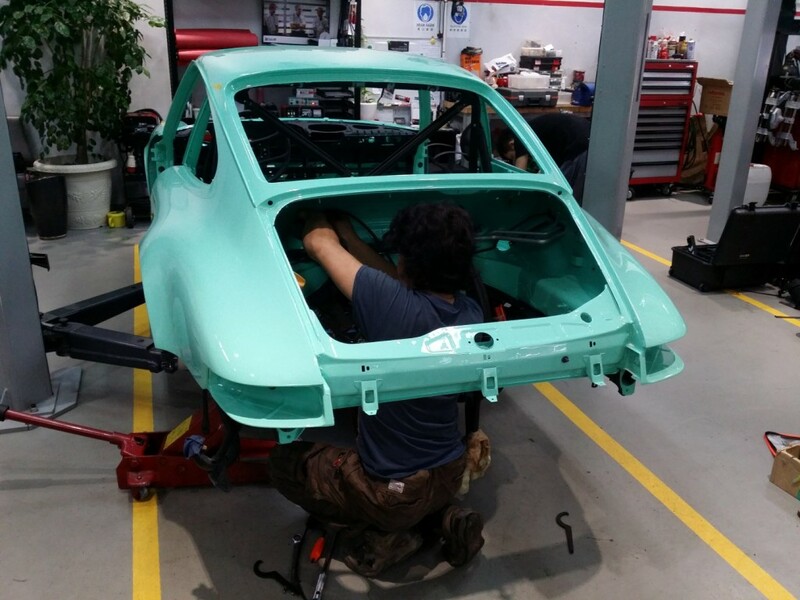 Like all his other builds, Nakai-san started out by installing the suspension. 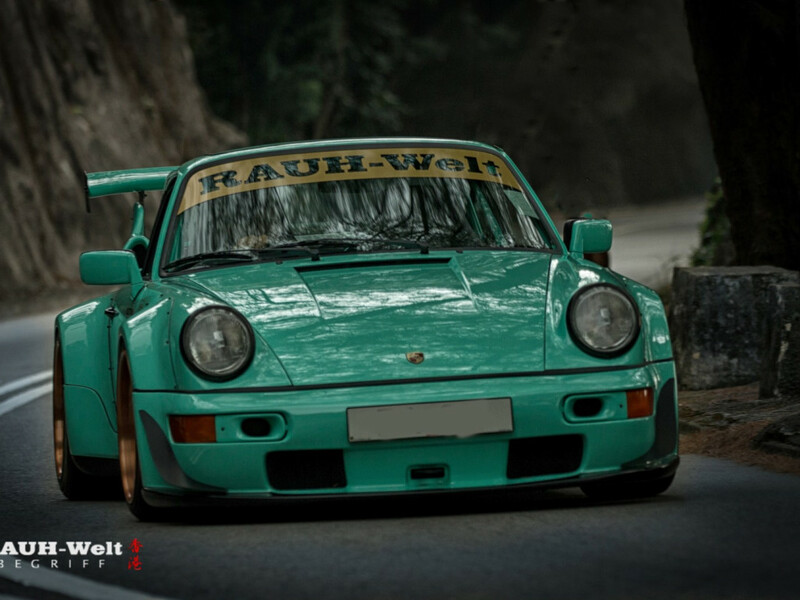 This car had a set of RWB spec’dÂ Aragosta coilovers. 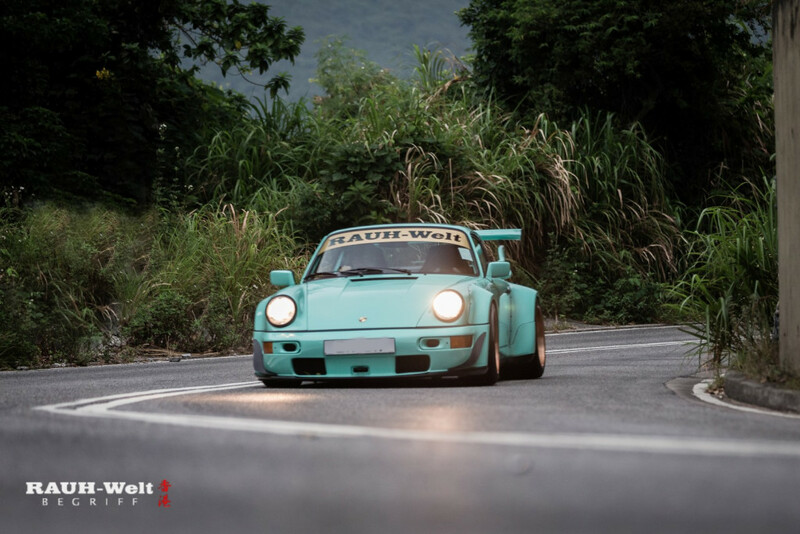 Because of the low stance and aggressive offsets of RWB Porsche’s, we needed a stiff suspension capable of handling all the bumps and breaks of our Hong Kong roads. 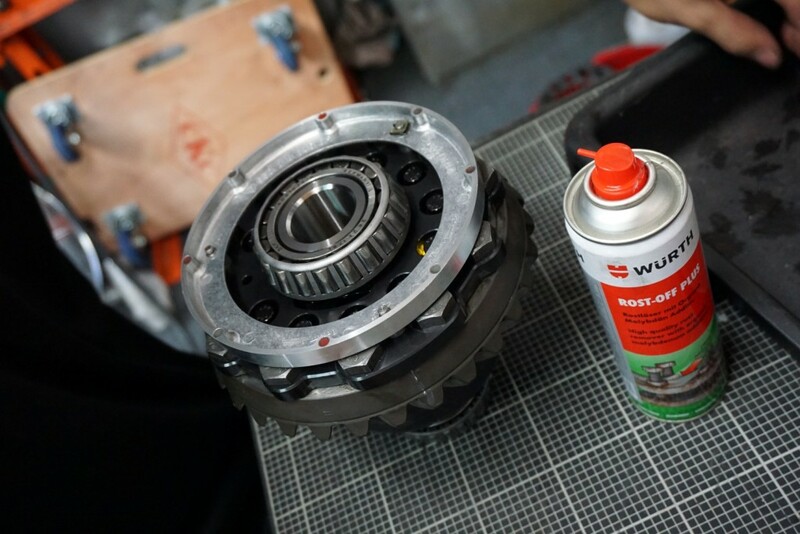 With its strong racing heritage, Aragosta has had a long standing reputation in Japan for being one of the top-tier suspension makers. 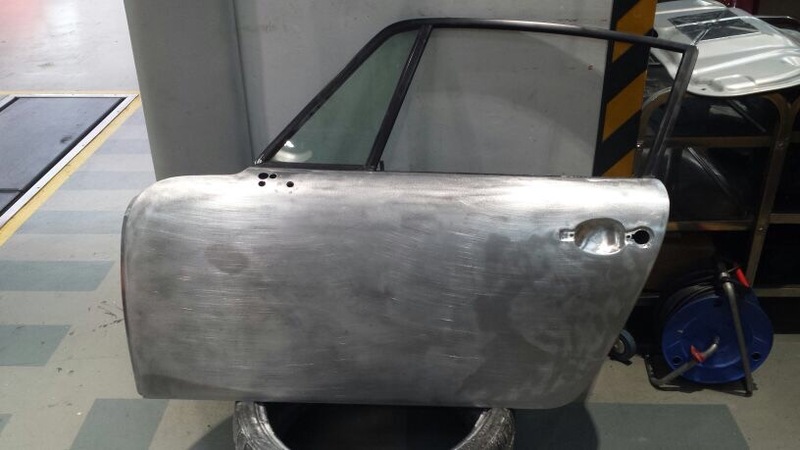 Next came the prepping of the front bumper with all the custom made mesh grills and rubber seals. 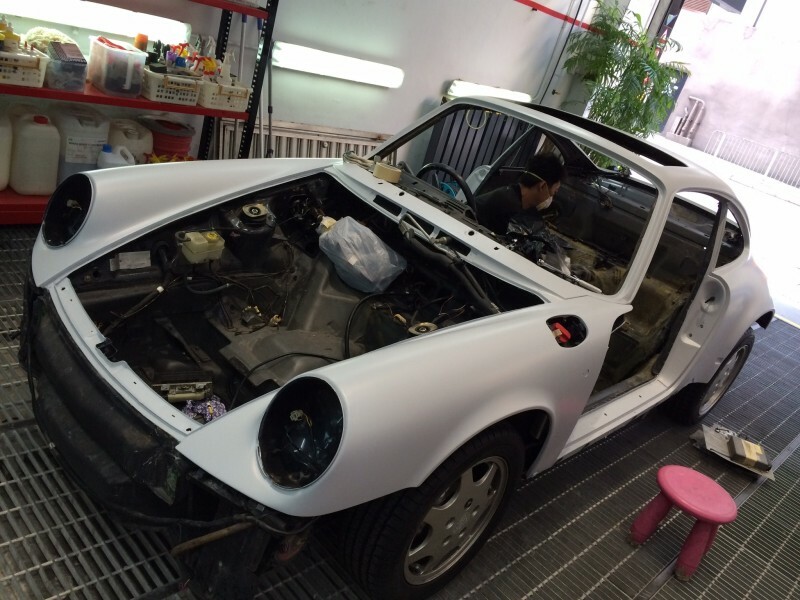 With the front bumper aligned in place, Nakai-san began the task of cutting away the original fenders in order to fit the new wider over-fenders. 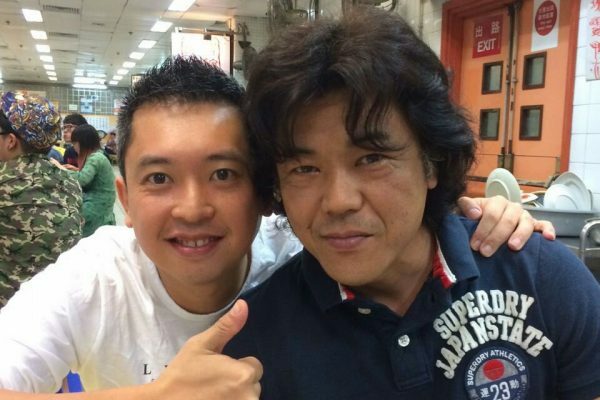 For Nakai-san, there has never been any guide or template. 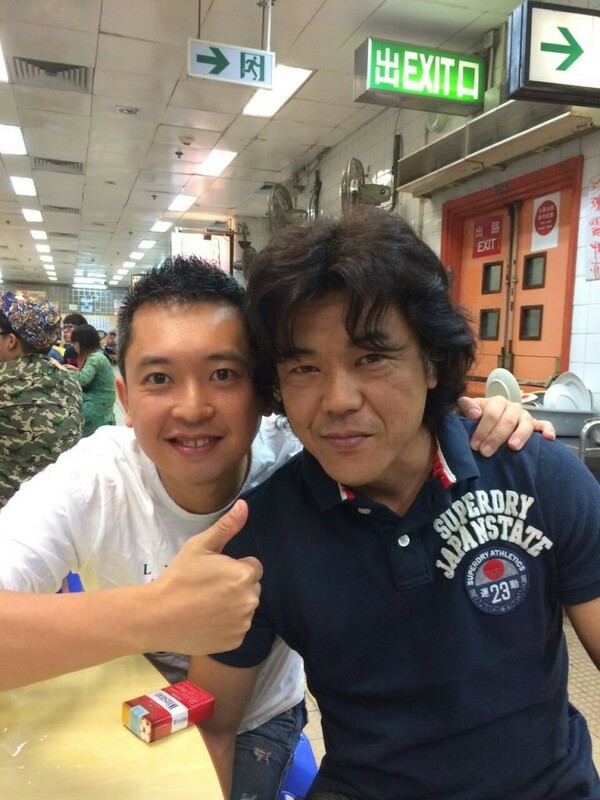 Everything is done by “feel” and memory. 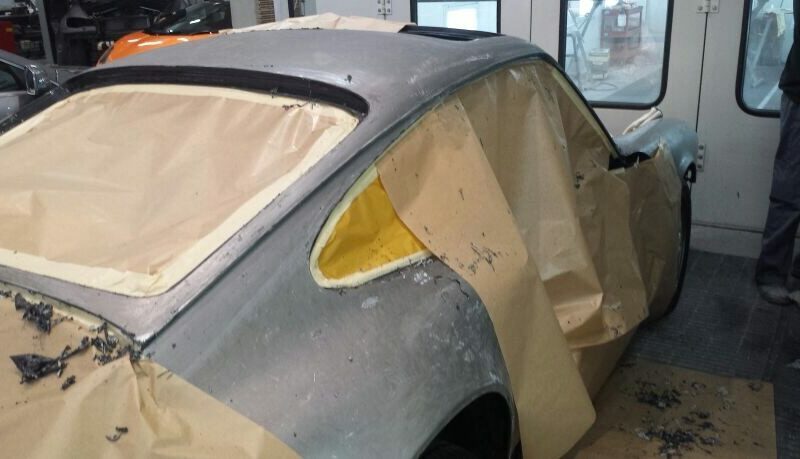 In one swift continuous movement, he was able to cut through the fender asÂ easy asÂ a knife through warm butter. 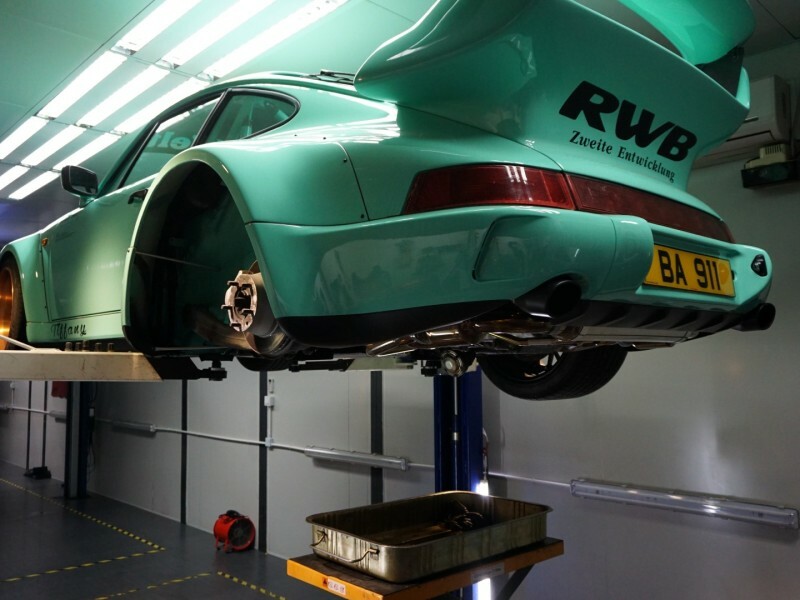 By now, there have been a vastÂ number of videos posted on YouTube showing the build process of a RWB Porsche. 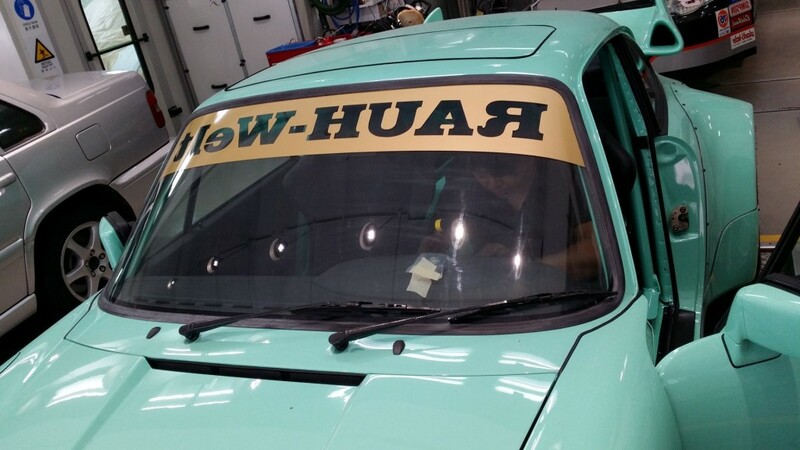 What you don’t see in those videos however is the attention to the finest detail that Nakai-san gives every car. When you see him in person fitting a fender or installing a bumper, you realize nothing is ever “good enough”. 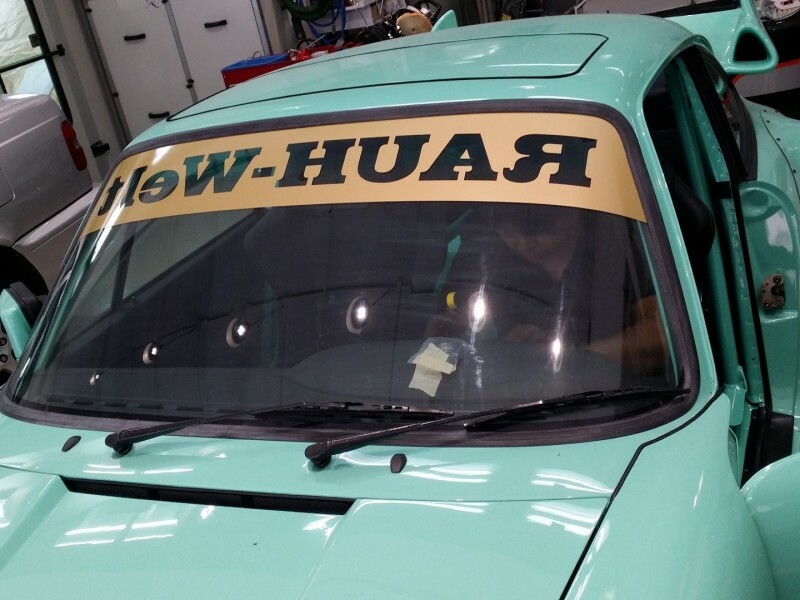 For Akira Nakai, it has to be perfect. 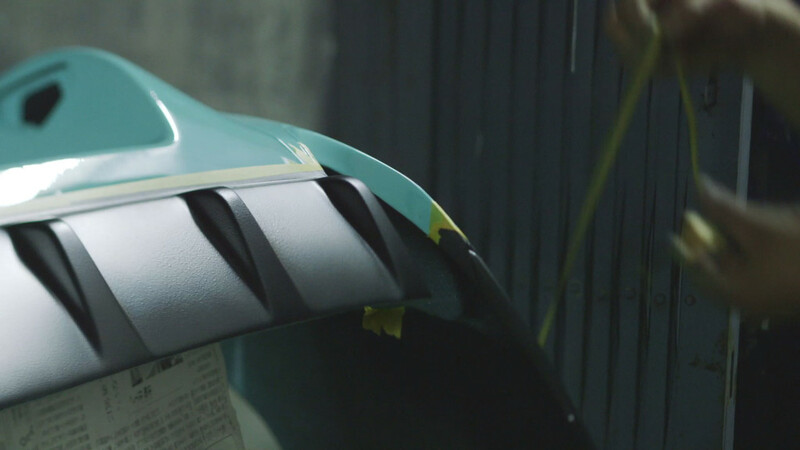 What might look like a regular black front lip and rear diffuser on the RWB are actually spray painted, precision drawn pieces that Nakai-san does by hand. 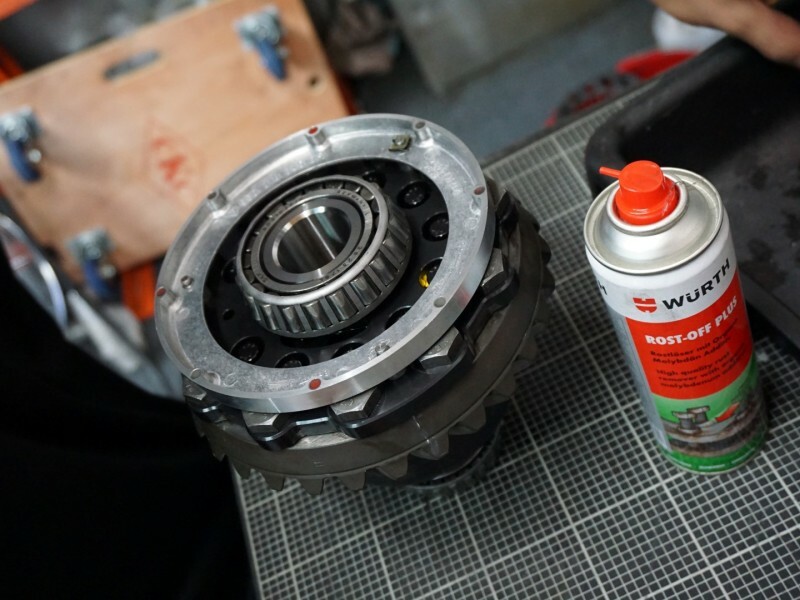 No detail is left unattended. 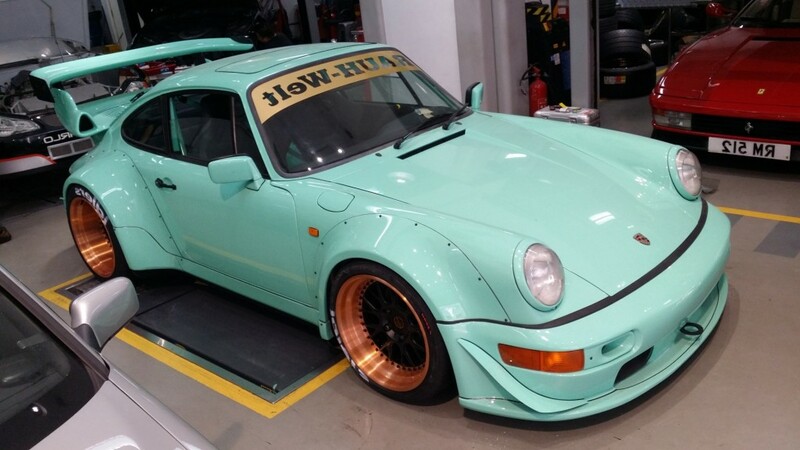 Despite all the meticulous parts to building a RWB,Â the whole process of building Tiffany took only 4 days. 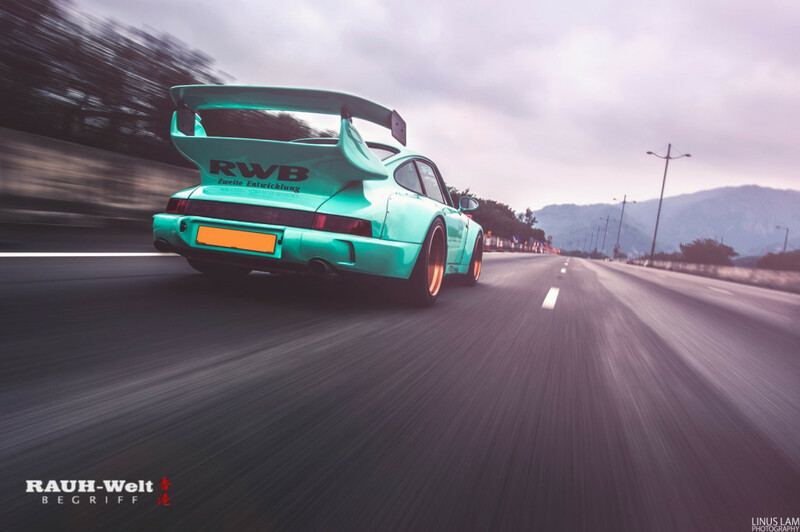 We had originally ordered a set of RWB Spec Work Meister wheels for this car but decided to go the custom route for Tiffany with a set of one-off Brixton CM16 Circuit wheels. 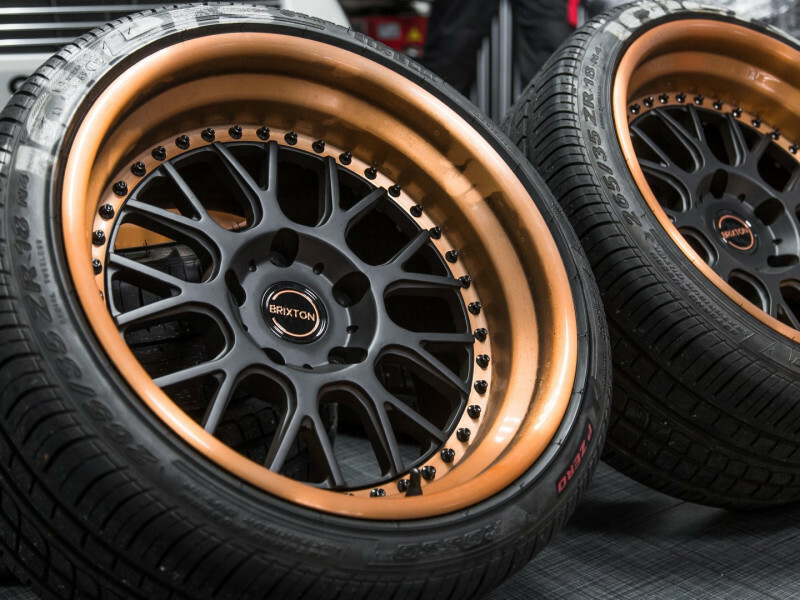 The wheels measure 18×10.5J ET-1 in the front and 18x13J ET-33 in the rear. 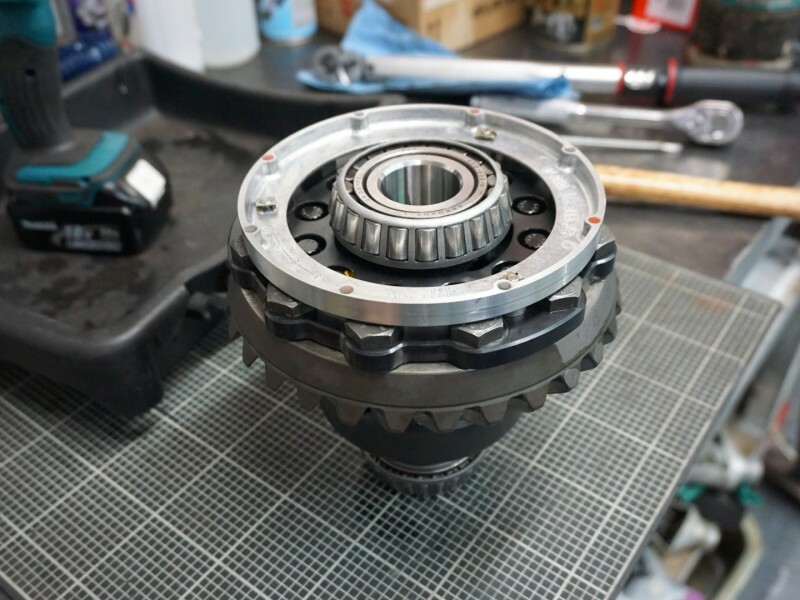 This custom offset allowed us to run these wheels without any spacers. 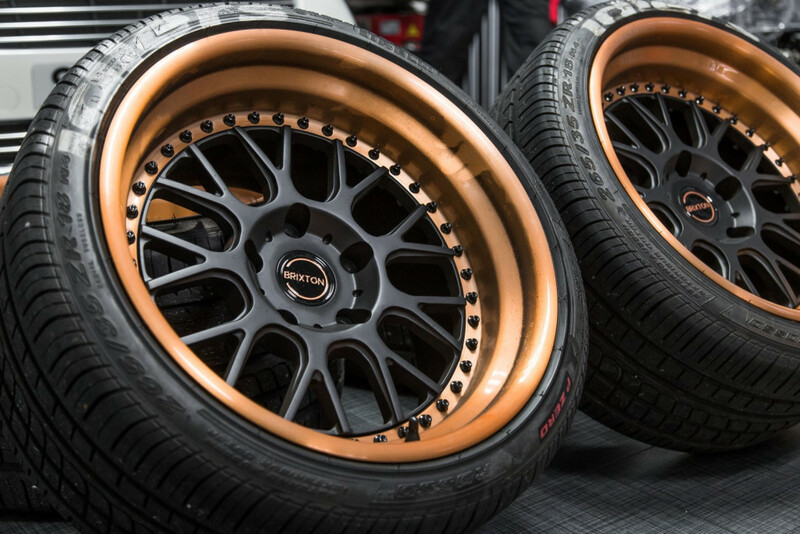 After adding the customary “Idlers” logo on to the sidewall of the Pirelli PZero Rosso tires, Tiffany was ready to roll. 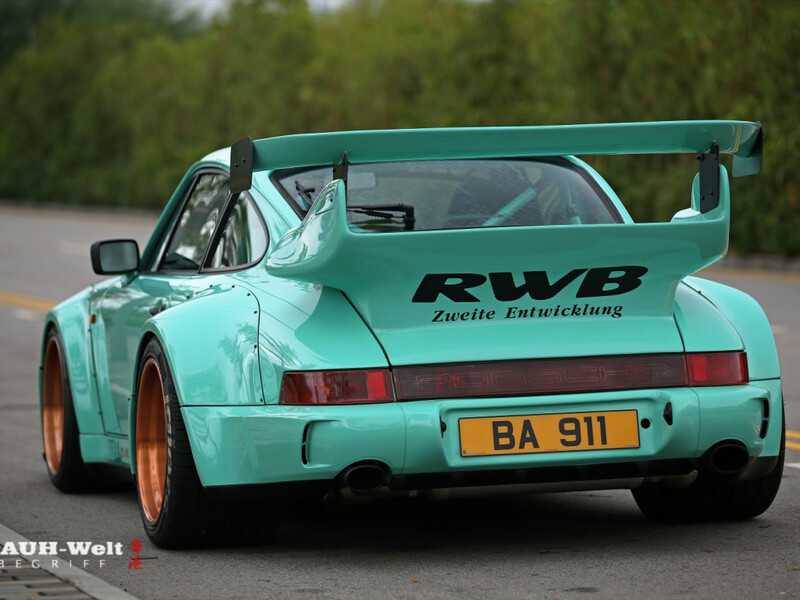 Aside from the outlook of the car, drive-ability and handling isÂ also very important to RWB. 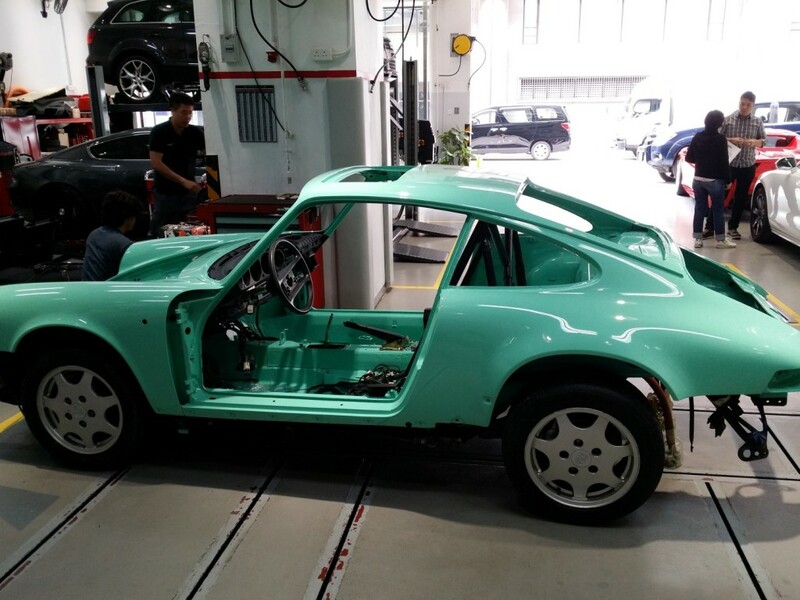 Upon completing the build of Tiffany, Nakai-san performed a quick alignment with two pieces of pipe and a tape-measure. 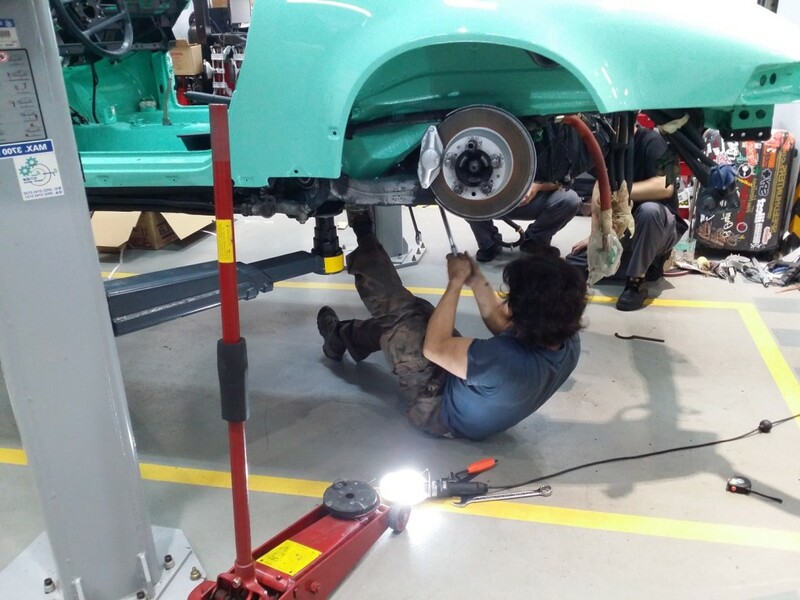 After the quick adjustment Nakai-san grabbed a couple wrenches, a piece of cardboard and took the car out for a test drive. 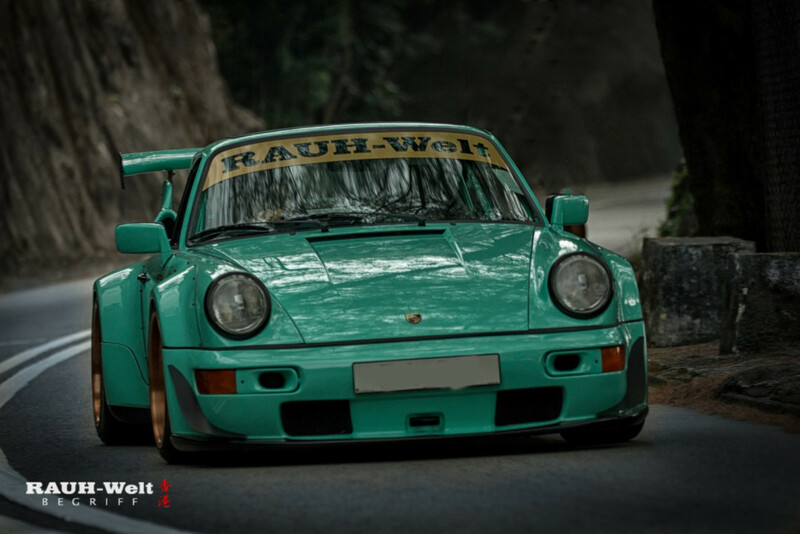 Sitting in the car with him, you learn that this man is truly a air-cooled Porsche fanatic. 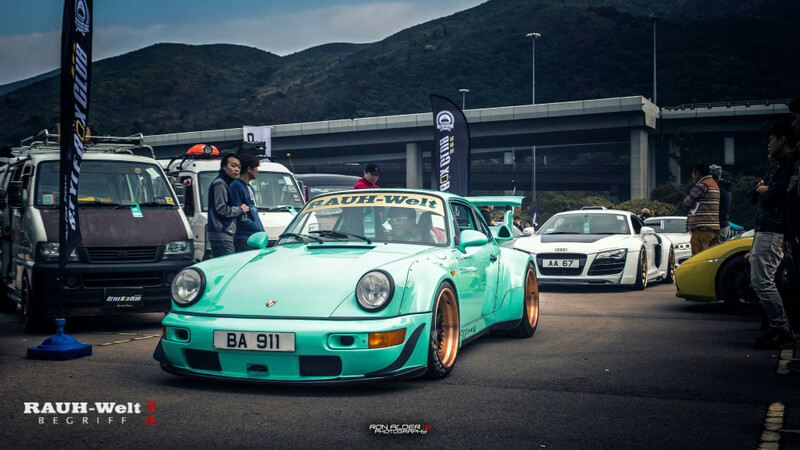 He knows every little quirk and unique personality trait associated with these generations of cars. 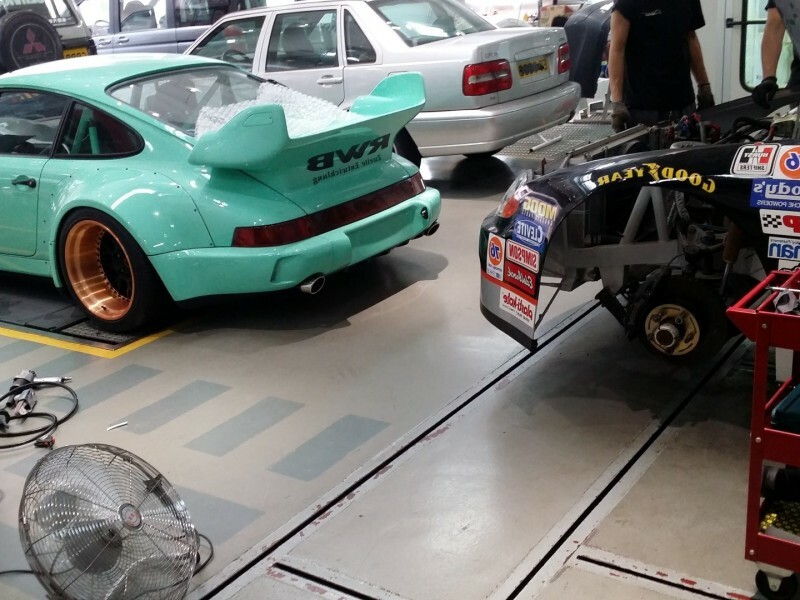 As he does everything by feel and experience, Nakai-san does not need any special machinery or equipment to tuneÂ his cars. 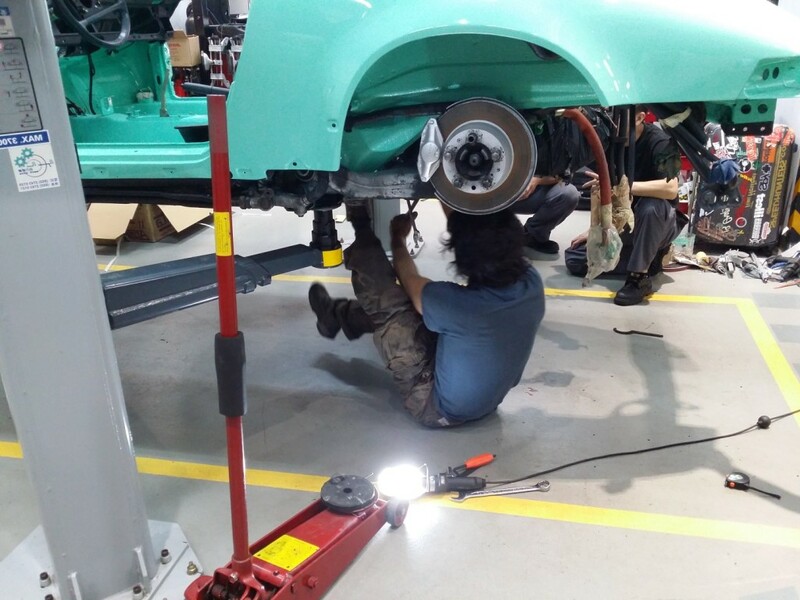 He wasn’t happy with his initial alignment setup, so he pulled over to the side of the road, crawled underneath the car and made his adjustments on the spot. 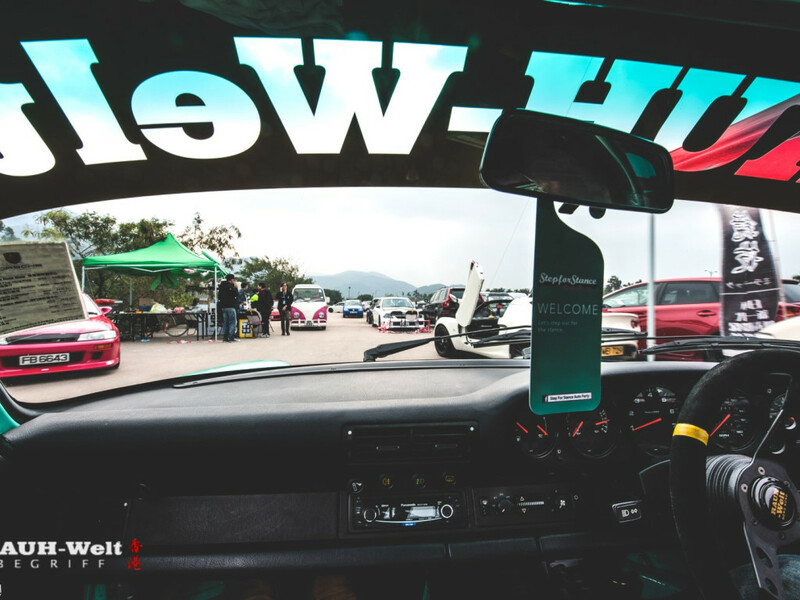 As many people may know, Nakai-san is quite the skilled driver himself. 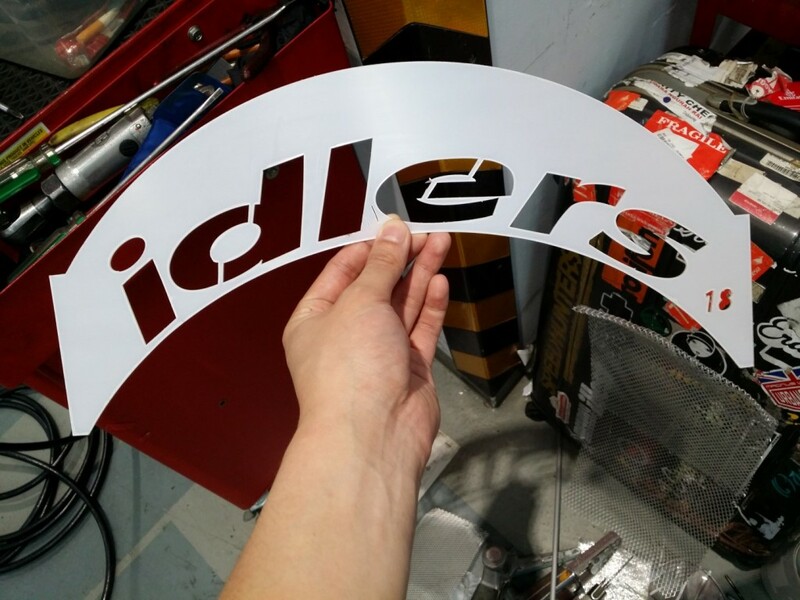 Regularly winning many of the Idlers races in Japan. 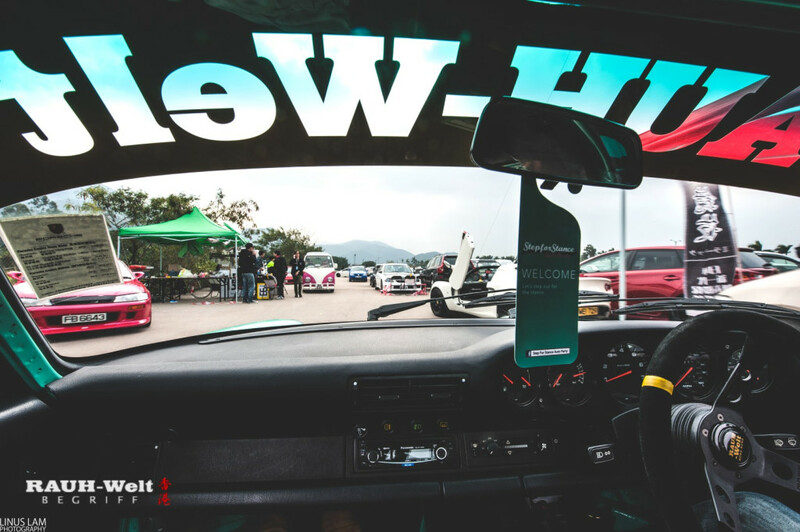 During the test drive, Nakai-san took the first opportunity he had and tried to drift Tiffany around a round-a-bout. He didn’t have much luck doing it and noted that the car needed an LSD. 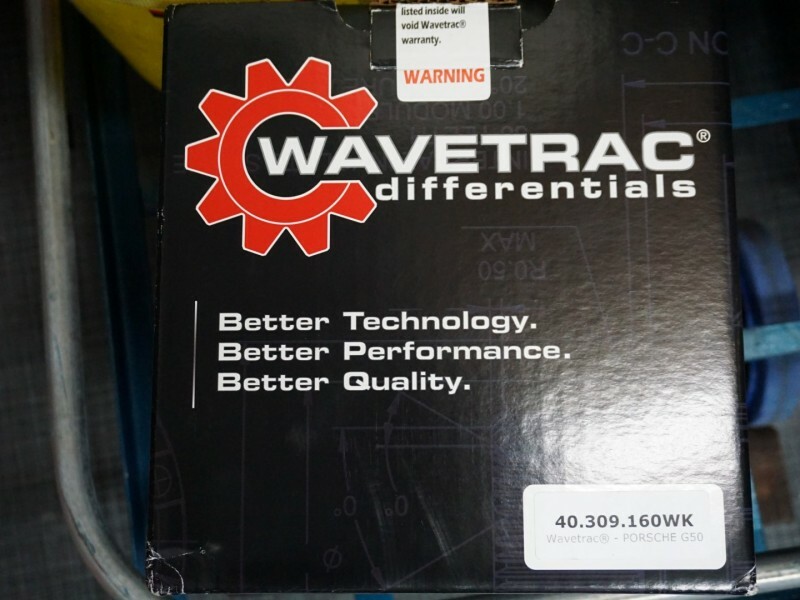 Immediately we went ahead and ordered a Wavetrac LSD for this car and now “Tiffany” handles much more predictably around corners. 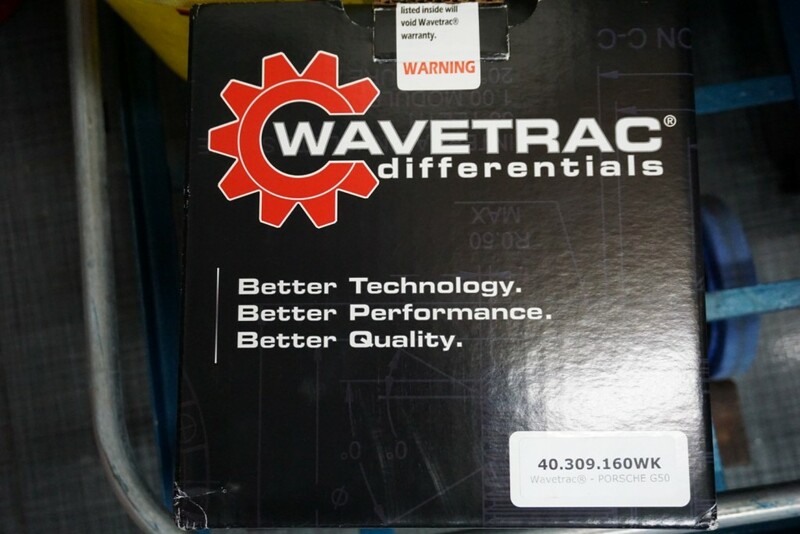 The LSD will come in handy when we finish installing a TPC Supercharger kit in the near future. Stay tuned for that build! 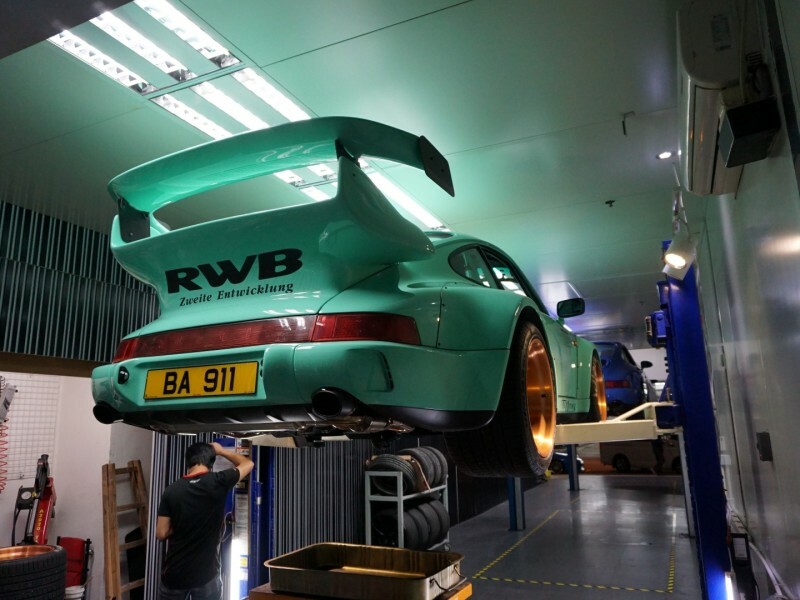 For theÂ a detailed look into the building ofÂ RWBÂ Hong Kong #1, check out the video below.